Home » Listings » Super Clean 2.5 Story in Linden Heights! Super Clean 2.5 Story in Linden Heights! 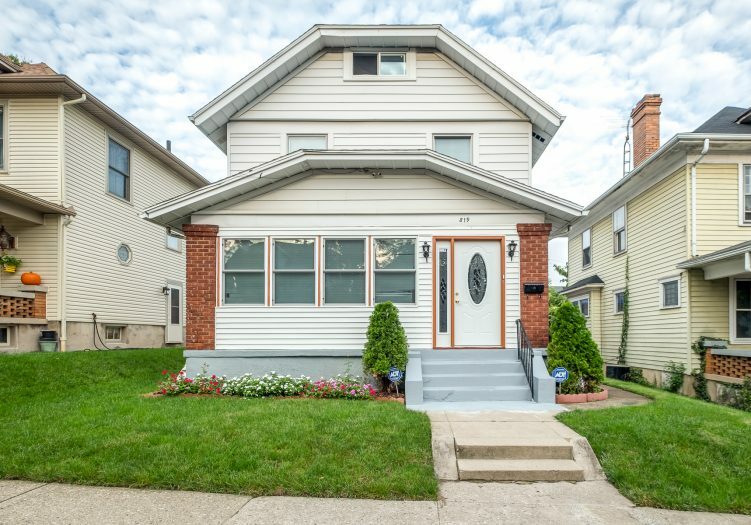 Wonderful opportunity to own an UPDATED HOME in LINDEN HEIGHTS! You’ll love all of the improvements current owners have made in this clean, 2.5 STORY! They started by enclosing and finishing the front porch to provide EXTRA SPACE! The great room boasts LAMINATE FLOORS and an ELECTRIC FIREPLACE with tile surround! A spacious DINING ROOM connects to the kitchen with NEW CABINETS and flooring, TILE BACKSPLASH, and black appliances. On the second floor, you’ll find three bedrooms with laminate flooring and a large, REMODELED BATH featuring tile flooring! Head up to the third level for a large FOURTH BEDROOM or rec space. Downstairs, the unfinished basement (DRY AND CLEAN) has new glass block windows. Outside, the PRIVATE DECK and PATIO are perfect for city living, and a TWO-CAR GARAGE protects cars from the weather! Roof replaced in 2011.